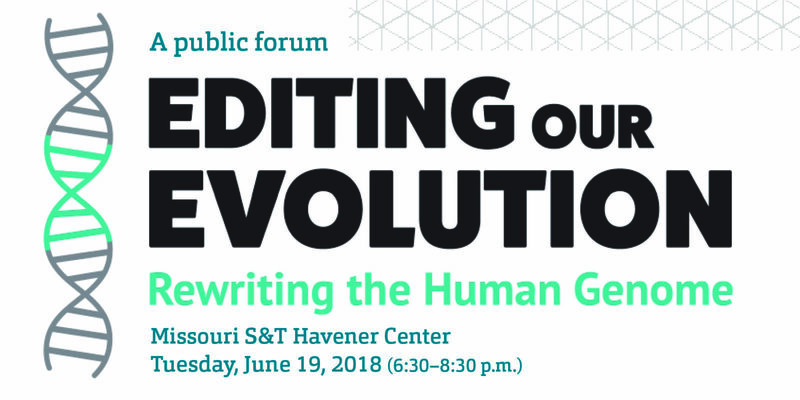 Missouri University of Science and Technology’s biological sciences department will host a public forum, “Editing our Evolution: Rewriting the Human Genome,” from 6:30 – 8:30 p.m. Tuesday, June 19, in the Carver-Turner Room of the Havener Center on campus. The meeting is free and open to the public, and anyone interested in participating in a discussion on this topic is encouraged to attend. Individuals interested in attending should register online at rol.la/humangenome by June 18. As gene editing techniques become more refined, the possibility of editing the human genome moves from science fiction to reality, says Dr. David Westenberg, associate professor of biological sciences and leader of the forum. Bridging the communication gap between science and society is an essential issue surrounding genome editing, he says, noting that some in the scientific community call for strict regulations on gene editing while others are excited about the possibilities. 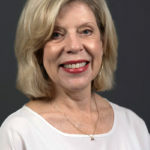 The forum will include both small- and large-group discussions about the line between genetic therapy and enhancement, issues of equity and access, and the possibility of making genetic changes that would last through a generation. The program was developed in conjunction with the Boston Museum of Science with funding provided by the National Science Foundation. To learn more, contact Westenberg at djwesten@mst.edu or 573-341-4798. Always a great way for the University to take a leadership role that involves a cross-section of the community. I would suggest that participants read the latest issue of FOREIGN AFFAIRS (May/June) that has several great and informative essays on the subject including one authored by Bill Gates. Subscribers and others can check the on-line website or look for the issue in libraries. A great way for the University to take the lead on vital issues. Participants should consider reading the latest issue of FOREIGN AFFAIRS (May/June) that has a series of articles and essays on the subject including one by Bill Gates. The issue should be in libraries but is also probably available on-line at CFR.org. I learned a lot that I did not know by doing so.